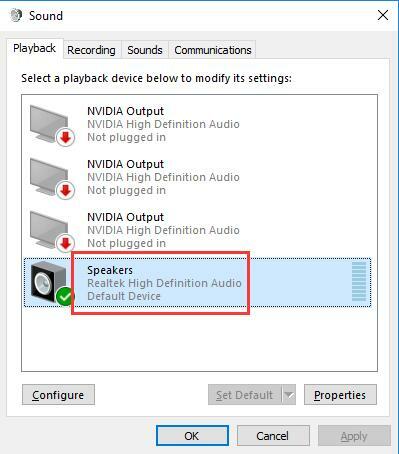 It is reported that many Realtek HD audio consumers have encountered their Dolby digital live or DTS failed to work on Windows 10. When they want to connect the Dolby Digital Live or DTS to the audio device, only to be told that this operation is unsuccessful, please try again or reinstall another application. The first thing at that time they tried to do is to play the sound test for Dolby Digital Live or DTS in device manager, but to their surprise, Windows 10 prompts them that it failed to play the test tone. Upset though you may be, you are supposed to fix this Dolby Digital Live or DTS not working on Windows 10 issue as soon as possible, for you are unable to appreciate the high-quality sound from your Realtek HD audio on Windows 10. And here is another Dolby error you may meet: unable to start Dolby audio driver on Windows 10. In the first place, you can try to install the Media Feature Pack to turn on the Dolby Digital Live or DTS after Windows 10 Creators Update. The Media Feature Pack for N edition of Windows 10 Version 1703 can provide the same sound functionality as Windows 10. After you download it, you are able to enable the Dolby Digital Live. And you can check the playback devices settings. 1. Right click the Sound or Volume icon and choose Playback devices. 2. Right click the device and set it as the Default device. 3. Click Apply and Ok to save the setting changes. Here you should make sure that you have enabled Show disabled devices and Show disconnected devices option. Once you have enabled the Dolby Digital Live/DTS and set the Speaker or microphone as the default device, you can play the test for the Dolby Digital Live again to see if it can work correctly on Windows 10 this time. If not, you need to go ahead. The corrupted or missing or even damaged audio driver can cause your Dolby Digital Live or DTS out of work as well, so at this point, you would better uninstall the problematic audio driver and install a new and latest one. 2. Expand Sound, video, and game Controller. 3. 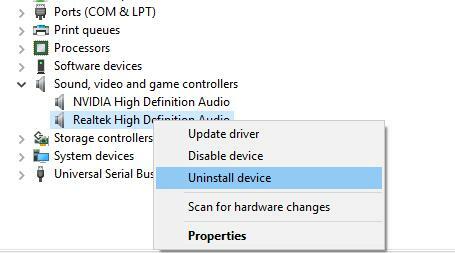 Right click the Realtek High Definition audio and choose to Uninstall it. 4. Restart your computer to let Windows 10 automatically reinstall a new Realtek HD audio driver for you. But here if Windows 10 cannot find you a compatible Realtek HD audio driver and reinstall it to fix the Dolby Digital Live or DTS does not work on Windows 10, you can turn to Driver Doctor to reinstall the latest Realtek HD audio driver for you. Driver Doctor can help you download and install the newest and most compatible Realtek HD audio driver quickly and safely. It aims to fix numerous Windows 10 device errors, so you can try to use to resolve the Dolby Digital Live or DTS issue. 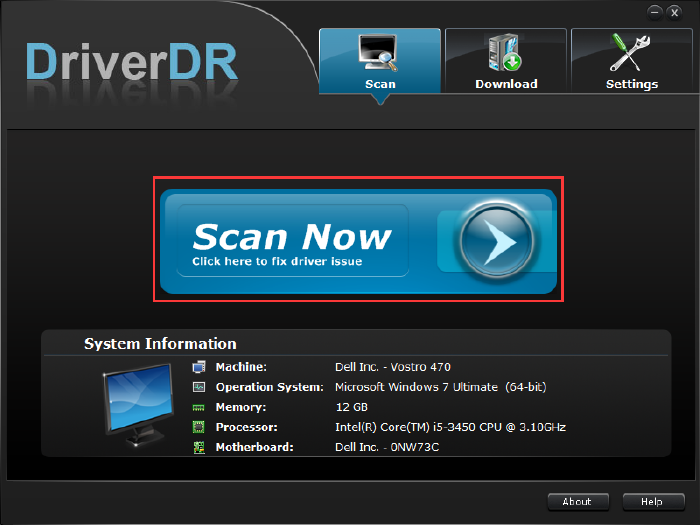 Having downloaded and installed Driver Doctor on your PC, you can launch it to reinstall a new Realtek HD audio driver. In the process, Driver Doctor will remind you to click Scan now, Get Drivers, and Download All. Driver Doctor will automatically download and install the latest Realtek audio driver. With the newly-downloaded Realtek HD audio driver, your Dolby Digital Live or DTS may be working now. If all the solutions above are useless for you to fix the Dolby Digital Live surround sound and DTS encoding not working on Windows 10 after Windows Creators Update. 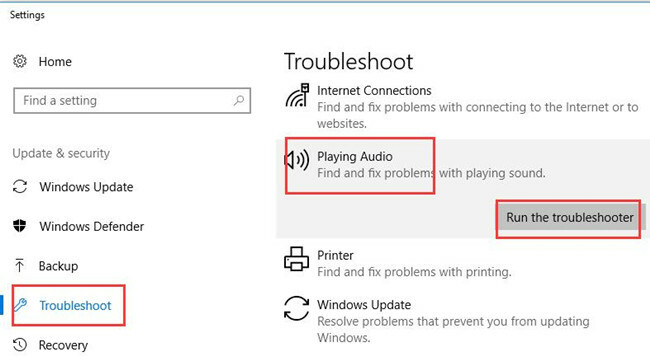 You may as well try to run Windows troubleshooter to help you detect and fix the audio issue. 1. 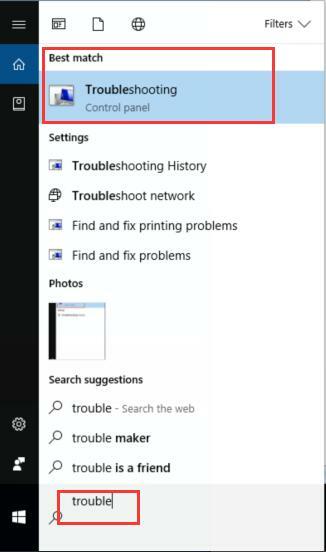 Type Troubleshoot in the search box and press Enter to open it. 2. Click Play audio and choose to Run the troubleshooter. Then Windows 10 will automatically detect your computer errors and help to fix it. Maybe it is able to resolve your Dolby Digital Live not working on Windows 10. Nevertheless, it is well-known that Windows 10 can only solve the basic system, so in a large sense, it may fail to fix the Dolby Digital Live or DTS issue. Under this circumstance, if you ran across this issue just after you have upgraded your operating system to Windows 10 from Windows 7/8, you may as well try to restore your Windows system. You can try to run this programs in compatibility mode to adjust to your restored Windows system. 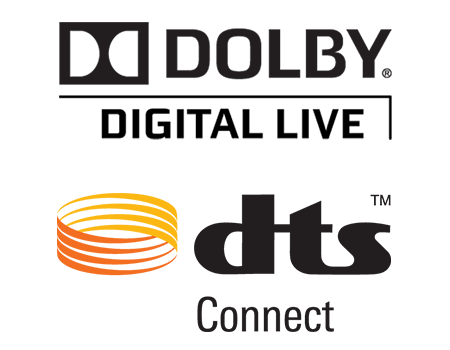 All the solutions are offered to help you fix the Dolby Digital Live or DTS out of work on Windows 10, believe it or not, you can always find a suitable and effective way to get rid of this audio issue.